Separated combustion heating* for hard-to-heat applications where excessive dust, dirt, humidity or negative pressure is a concern. *Contact your Mr. Heat Mechanical Inc. for information on the T-Class™ (TUA) separated combustion heater. **Sizing application is provided as an example only. 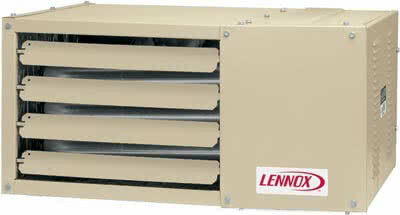 Consult your local Lennox dealer for actual requirements. ***Optional conversion kit available for propane applications.